carpet bedside bed mats living room coffee table window mat . 【Features】: The pattern is simple, fashionable and modern. The personality is unobtrusive, the material is soft and comfortable, the color is bright, the feeling is extremely soft, the lint is not faded, the color does not fade, highlight the warm living space. Advantages: non-slip, moisture-proof, anti-static, noise, cool, wear-resistant, easy to clean, cost-effective. 【Application】: non slip end can be used for yoga mats, cushions, bedroom, living room, study with a blanket, but also laying in the bathroom, entrance, bay window, etc. 【Washing method】: Please be sure to use a special carpet cleaner or neutral detergent diluted with water after washing. Pay attention to dry, dry, avoid exposure. 1. This product only includes carpet, other decorations in the figure are not included. 2.Manual measurement, it is inevitable 1-2cm error. 3.Because the carpet is wrapped in a package, when you have just received the carpet, you may feel disheveled, and you can smooth and smooth the carpet with just a few jitter. We sincerely for your service, to promote quality, quality products. ★You can machine wash does not fade, the thickness of about3cm, high density can not afford velvet. ★Ultra-soft high-quality environmentally friendly fibers, soft and delicate touch, do not fade lint. ★Delicate edging, complete car line, using non-slip plastic at the bottom of plastic, non-slip effect and does not hurt the floor. 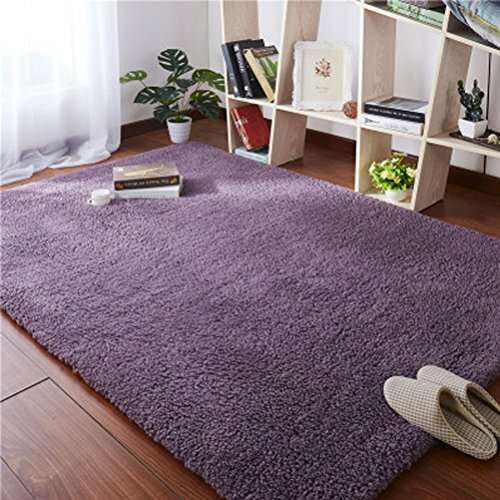 ★High-density carpet surface, long-lasting, silicone bottom, moisture insulation. If you have any questions about this product by Shoe rack, contact us by completing and submitting the form below. If you are looking for a specif part number, please include it with your message.